We just learned about the Somatic Nervous System. 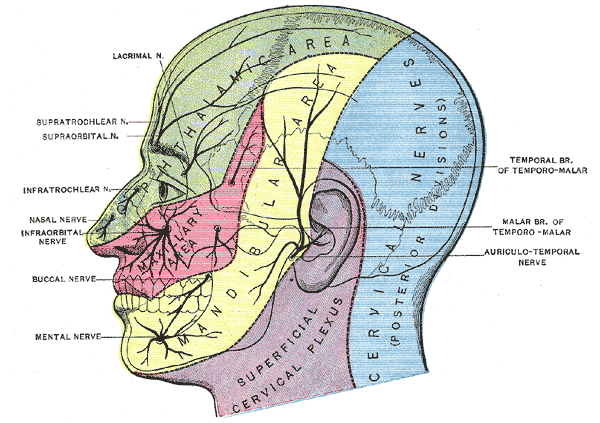 We know about the 8 cervical nerves in the spinal cord at the neck. The first 4 of those, C1 - C4 have nerves that come out to be what is called the Cervical Plexus. These nerves control the feelings and moving of the back of the head and the neck muscles.